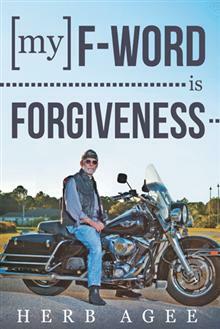 My cousin, Herb Agee, has published a book titled My F-Word is Forgiveness. Herb has been a hospital chaplain, a police officer, and a church pastor, and his stories echo both the humorous and the somber aspects of working in ministry and working with people. The Agee family is known for its pranks and jokes, so I am not surprised that Herb’s book made me laugh out loud in places. His book will leave you feeling better about the world, and will make you feel like you’ve found a kindred spirit in Herb. How would you describe your book in one sentence? My life stories and experiences . . . with a little license. What made you want to write this book? When I left my job as chaplain of Wuesthoff Hospital, I wrote the story of why I was leaving and many asked me to keep writing because they enjoyed the story. I did and some started asking me to put my stories in a book. Even Fred Bauer, from my church, who was an editor of Guide Post, suggested that I compile the book. Talk a little bit about your writing process. How long did it take you to write the book? Did you have a certain time each day that you wrote? Why did you organize the book the way you did? I often wrote while sitting with a laptop watching hockey games. I was just writing a story about once a week and emailing them to friends. Later, I was sending them to the Englewood Edge, which is a local online newspaper. I have no discipline, so if I had known I was writing a book, it probably would never have happened. How is forgiveness sometimes seen as a bad word in our culture? Even when used outside of a religious understanding; when people hear the word, they know that someone has done something wrong and needs to ask to be forgiven or someone needs to forgive. That’s uncomfortable for most people. You tell a lot of stories in the book. Does storytelling play a part in forgiveness? If so, how? Well, our gospel is a story we believe to be true, although some disagree. If you talk to someone about a situation in their life of hurt and forgiveness, there is usually a story, often a drama, rarely a comedy, surrounding their life in that moment. I love the humor interspersed throughout the book. How does humor interact with the human psyche? With faith? Do you see humor as a healing force? Humor is the best gift for coping with life that God has given us, in my opinion. People without a good sense of humor struggle by taking life and everything too seriously. When you can make fun of the worse things happening to you, you can get through them easier. In the hospital, I loved letting a family know that it was okay to laugh in the middle of the terrible moments. Healing…I don’t know, but I would choose it over chemo or radiation. You tell many stories about ordinary occurrences – going to Piggly Wiggly, putting up the Christmas tree, going to the dentist. Talk a little about finding the sacred or the extraordinary in the ordinary. It’s just how I see things. If I knew that’s what I was looking for, I probably couldn’t find it. You’ve been a minister and a hospital chaplain, helping many families grapple with death, and yet you have a very full and lively life, including riding a Harley and being dubbed “Padre” by your biker friends. How do you balance out death and life? How do experiences with death affect our lives? It’s interesting. I can be be fully present with someone in their tragedy, but when it’s over, and I walk away, I never take it with me. Other things are different. If I’m in a meeting at church and people are not getting along, it bothers me, especially if I’m supposed to be in charge of that situation. It will literally keep me awake at night. If they all died, I could handle it fine…sometimes I even…oh, never mind. One thing I have noticed about living a life in the midst of tragedy is that I don’t enjoy drama in movies or television. Drama doesn’t entertain me…my life is a drama. I need humor to be entertained. How do you think readers will relate to your book? My stories tend to remind them of their own. People don’t really care much about my stories, but my stories trigger memories of their own lives and similar funny experiences. They usually like that. You can purchase Herb’s book here (you can choose between an e-book, paperback, or hardback) and you can read about a ministry Herb started, St. Francis Benevolent Community, here.